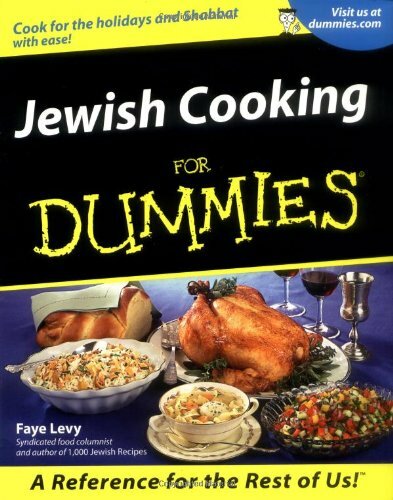 This recipe comes from Faye Levy’s book, Jewish Cooking for Dummies. Levy is a culinary columnist for the Jerusalem Post and the author of 23 cookbooks, including Healthy Cooking for the Jewish Home (William Morrow). 1. Put grated zucchini in a colander. Squeeze by handfuls to remove excess liquid; discard liquid. Leave zucchini in colander while preparing next ingredients. 2. Halve mushrooms, place them cut side down on board, and slice thin. Heat 1 tablespoon oil in a large skillet. Add onion and sauté over medium heat for 3 minutes. Add mushrooms and garlic and sauté for 2 to 3 minutes or until onions and mushrooms are tender. Add cumin and turmeric and stir over low heat for a few seconds. 3. Transfer mushroom mixture to a bowl. Add zucchini, peas, and corn and mix well. Add salt, pepper, oregano, and cayenne to taste. Stir in eggs and then matzo meal. 4. Heat 3 or 4 tablespoons oil in a deep heavy large skillet. For each latke, add 1 or 2 heaping tablespoons of vegetable mixture to pan. Flatten them slightly with back of a spoon. Sauté over medium heat for 2 to 3 minutes on each side, or until golden brown. Turn very carefully using two spatulas. 5. Drain on a plate lined with paper towels. Stir mixture before sautéing each new batch. If all the oil is absorbed during sautéing, add 1 tablespoon more oil to the pan. Serve hot. Jewish Mother's Tip: If your mushrooms are large, quarter them before slicing. Any large pieces of food in latkes can prevent them from holding together. Keep this point in mind when you create your own.